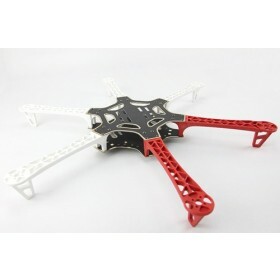 DJI F450 Flame Wheel QuadCopter frame is designed for all pilots for fun or with the use of an autopilot. The Flame Wheel F450 Quad can be used with either the DJI Wookong M Multi Rotor Controller or Naza M V2 autopilot systems to achieve hovering, cruising, even rolling and other flight elements. It can be used for entertainment, aerial photography, FPV and other aero modelling activities. 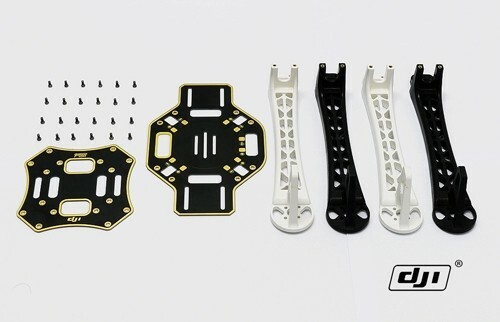 The DJI F450 Flame Wheel frames are built from very strong materials, the arms are made from the ultra strong PA66+30GF material which provides better resistance to damage on hard landings, while the main frame plates use a high strength compound PCB material, which makes wiring of ESCs and battery easy and safe on the lower of the two frame plates which is also the power distribution board. The overall frame design provides enough space when assembled to fit an autopilot systems between the top and bottom plates of the Flame Wheel. 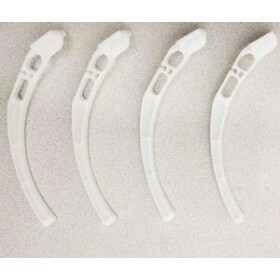 The arms supplied in the kit are different colours, 2 red and 2 white to allow for improved visual orientation in flight, other coloured arms in black are available. These frames are very easy to build and are held together by a set of shouldered bolts, the bolts pass through the predrilled holes in the top and bottom frame plates of the F450 Flame Wheel into the top and bottom of the arms, a total of 6 bolts per arm holds the frame plates in place and ensures that the F450 Flame Wheel frame is very solid, and are able to put up with a great deal of use or abuse! 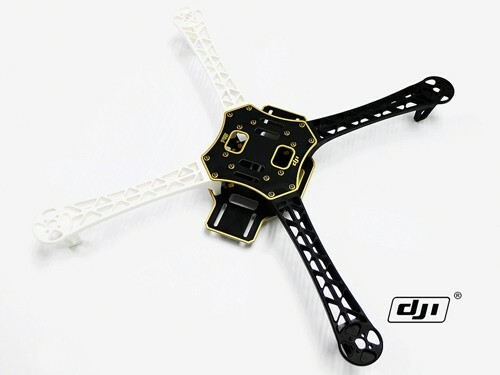 Please note: this is the frame only kit, you will need to add a flight controller, RC Radio and battery to this setup. If you are looking for a complete set of matched motors, props, ESC's with a NAZA flight controller please see the ready to go DJI Naza M V2 GPS + F450 Flame Wheel E300 + Landing Legs.